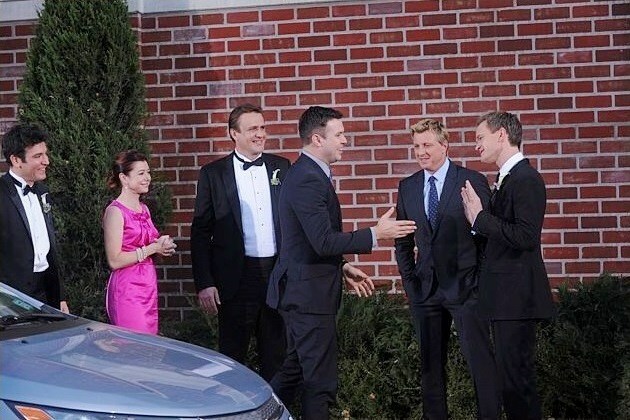 The BIG discussion from The How I Met Your mother Season 6 Premier entitled Big Days was pretty clear, who’s wedding was was Ted giving a toast at? I mean it wasn’t Ted’s. 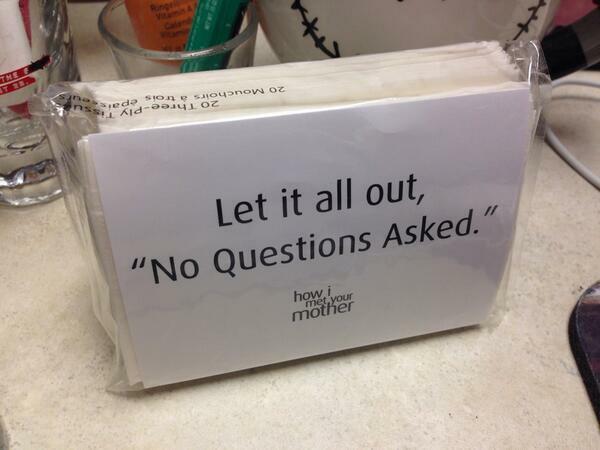 And from what I’m hearing from twitter and the interweb, most speculate it was Robin or (and) Barney. With that said, here are some things to consider. Ted is giving the toast, so he is more than likely the best man. Marshall is wearing the same tux with the same boutonniere as Ted. So this leads us to think he is in the wedding as well. It has been argued that Lily is wearing a bridesmaid dress. It’s an ugly one if you asked me, but I can see their point. Barney & Robin are not seen in these future scenes. That’s gotta be by design. 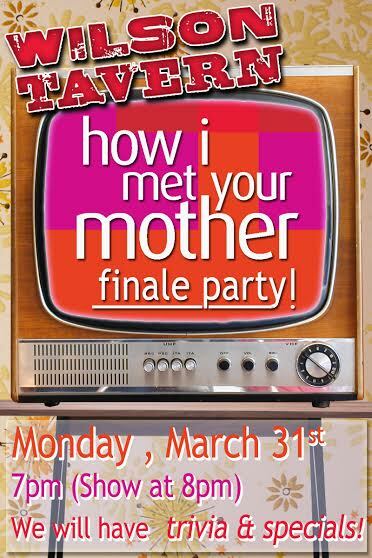 Either A. the HIMYM writers are trying to screw with our heads (which happens often) or B. They are involved and still inside. Ted started to tell the story from the day he met Robin. And he said she would be important to the story. He met Robin, they dated but it didn’t work out. Then she dated Barney, but it wasn’t the “right time” for them. Ted met Stella, got left at the altar and that led him to be a professor, wich is why he met Cindy. 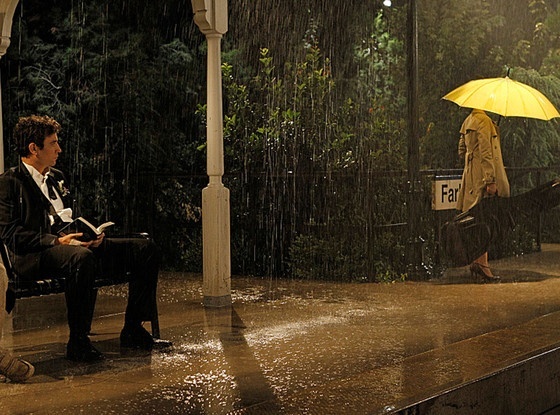 He returned the yellow umbrella he had taken. 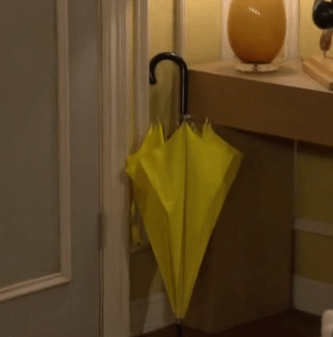 Now Cindy’s roommate (the mother) has the yellow umbrella. 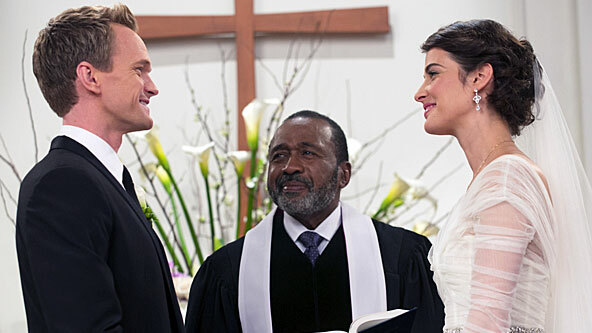 Sometime in the future Barney and Robin will be ready to get in a real serious relationship and they end up getting married. Barney’s best friend is Ted, so he would be the best man. 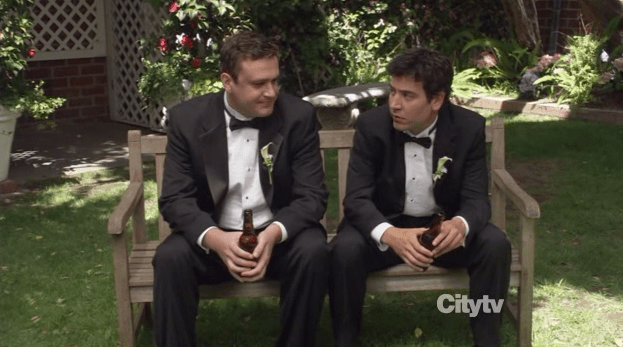 Ted is nervous because: a) it’s his friends wedding b) He never thought he would make a toast at Robin’s wedding.